I wrote a blog post on Gamasutra about my experience at Indie Game Con in Eugene, Oregon. It got marked as a featured post! Cool! 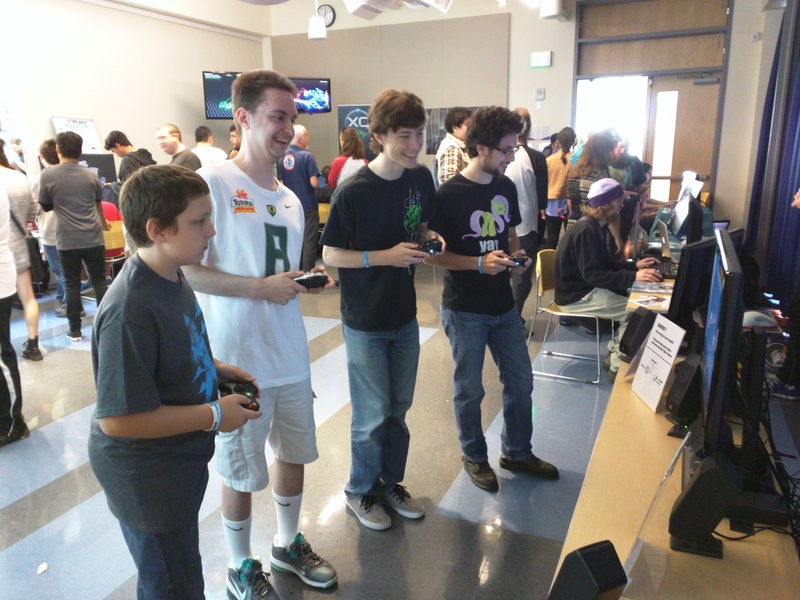 In the spring, I signed up to participate as an exhibitor at Indie Game Con in Eugene, Oregon. I was quite nervous about doing this. I had a working game, but it was unpolished. Except for showing a game at PIGSquad’s Drink n’ Draw event, I had never shown anything I made at any kind of official event. I had no real idea of what to expect. And while I certainly wasn’t as prepared as I could have been, it still went very well. I had way more people playing my game than I expected. I was able to see quite a few things to fix or change, as well as things to keep or enhance. The response from people that played was great to see. Many people wanted to know how they could get the game, not even realizing it was far, far, far from complete. That was flattering, but also made me realize I need to make it more clear that the game is still in heavy development. One thing I was not prepared for was how completely exhausting it is to exhibit at game. I was talking almost non-stop the entire day. I had to re-state the same basic litany of explanations about the game. I really understood why it’s important to come up with a succinct pitch for your game. It’s not just so that it’s easy for people to understand your game. It’s also so that you can keep from getting burned out on talking about your game. I think I’ll write a more complete post specifically about my experience.